Per Entertainment Weekly's exclusive, “Ryan’s character has his own issues: He’s a single father with a son with special needs, with cerebral palsy. And he’s an Army veteran who’s left the Army in order to raise his kid.” Full photos of Ryan Guzman via the link in EW's tweet below. 2 New Teaser Promos - It's Coming & Have You Ever Seen Anything Like This? 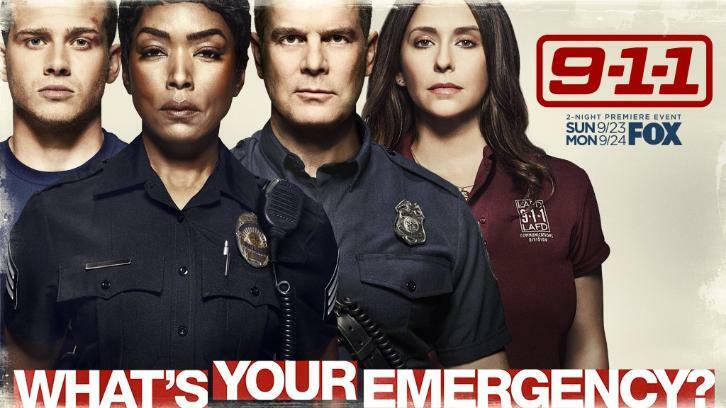 Deadline has exclusively revealed the first two promos for the second season of FOX's breakout drama, 9-1-1. The promos premiere tonight during the 2018 Major League Baseball All-Star Game. Season 2 premieres Sunday, September 23rd after NFL football.